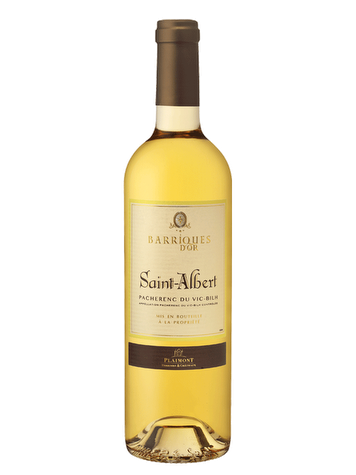 Its golden green color offers a rich and powerful nose, candied fruits, ginger notes, beeswax and white chocolate. 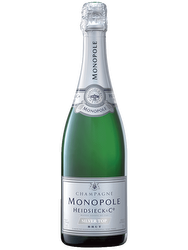 In the mouth, this wine presents a nice balance, full-bodied, round, with a well-marked character on candied fruits. The sweetness is well melted and without heaviness. Final frank, straight and tense. The thiol also called “thioalcool” is a very fragile molecule present in the France South-west grape varieties. It gives the wine aromas of citrus and exotic fruits. Gathered since 1979, the three wine producers of Plaisance, Aignan and Saint Mont gathered their skills, legacies, terroirs, and initials to form the Plaimont Producteur cooperative. The collective enterprise was joined 20 years later by the Crouseilles and Condom wine producers. Terroir: Plaimont Producteur owns 98% of the Saint Mont appellation. Spread across 3500 hectares at the crossing of Gascogne, Béarn, Pyrénées and Gers, the vineyards have petit courbu, mansengs, tannat, pinenc, arrufiac, colombard and cabernet sauvignon as main grape varieties. Viticulture: The viticulture results from a strict contract that is established between the winegrowers, technician and terroir. Vinification: The maceration and extraction are extremely slow. A patent created by the cooperative aimed at protecting the method implemented to highlight the thioalcool molecule, the one that gives South-west wines their unique exotic fruits and citrus aromas.